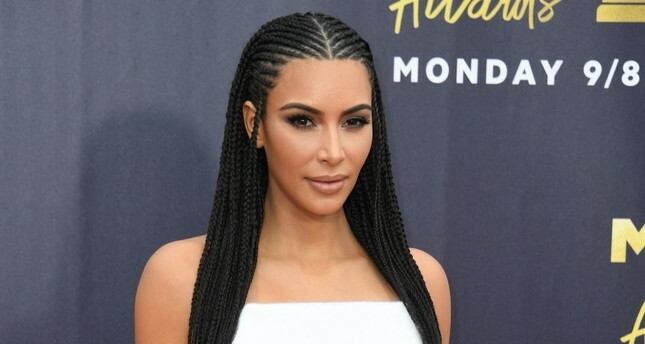 The American television star, known for her reality shows and marriage to hip-hop artist Kanye West, is studying law and hopes to pass her California bar exams by 2022, the magazine Vogue reported on Wednesday. The 38-year-old lifestyle mogul, who has 134 million Instagram followers, has been interning at a California law firm since last year. She said she was inspired to study law after successfully petitioning US President Donald Trump last year to pardon Alice Marie Johnson. A week after meeting with Kardashian, Trump — also a former reality television star — pardoned Johnson in June 2018. The star of "Keeping Up With the Kardashians" said she had been invited on a different occasion to the White House to participate in a working group on pardons and clemency. "I just felt like I wanted to be able to fight for people who have paid their dues to society," she told Vogue. "I just felt like the system could be so different, and I wanted to fight to fix it, and if I knew more, I could do more," said the mother-of-three whose own father Robert was an attorney who helped defend OJ Simpson in his murder trial. Admission to law school in the United States usually requires a bachelor's degree in any discipline. Kardashian never graduated from the college she attended, Pierce, having dropped out before she completed her course. But some states including California do allow would-be attorneys to intern in a law firm for four years before taking the bar exam. Kardashian has been apprenticing at a San Francisco law firm since last year and hopes to pass her exams by 2022. In the meantime, she said she is taking an interest in other cases of inmates calling for early release from prison.